The festival of spring and color, Holi, is quite a cheerful celebration in India and Nepal, which is now spreading to more and more countries. 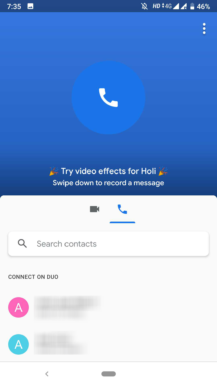 Google likes to honor these occasions in various ways, and we knew this year's Holi would bring video effects in Duo. They're now live, though they may be geolimited. Update: They're available in India only. 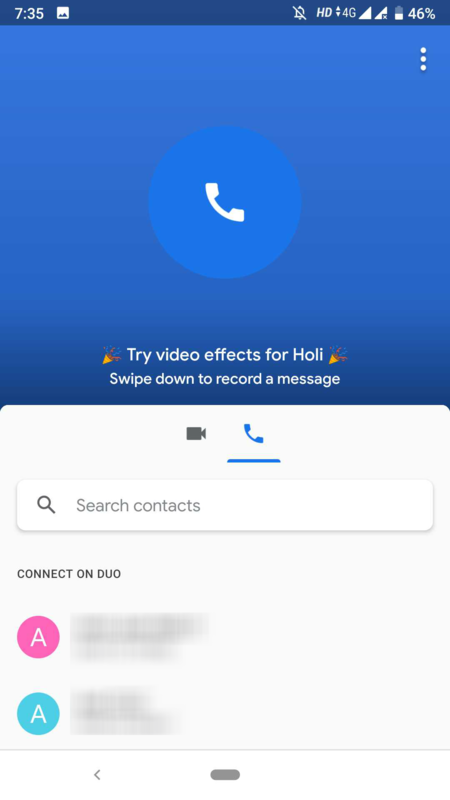 Just like the Valentine's Day effect, Duo's Holi filters are only available when you record a video message. 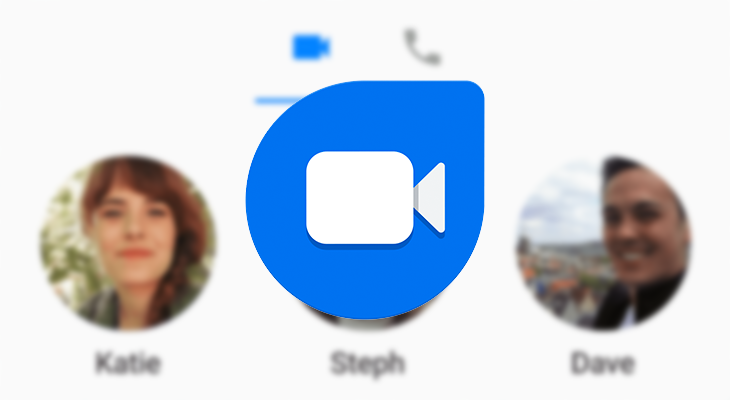 You can't use them in live video chats. But once you save your message, you can share it with anyone on your Duo list. 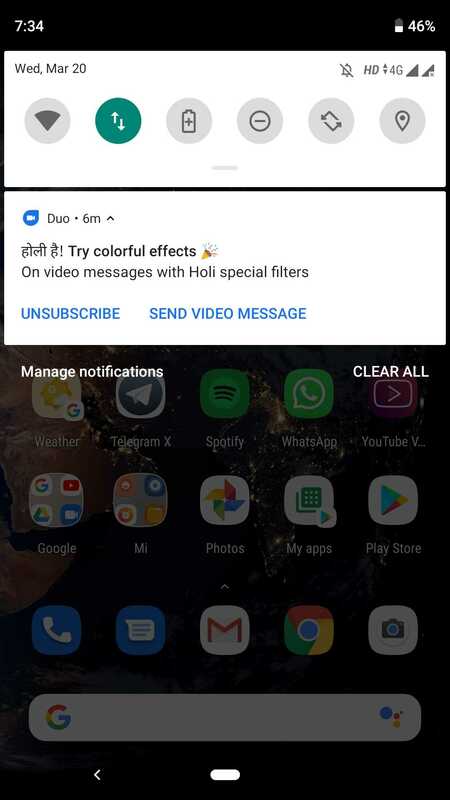 Users are getting notified of the new effects. There's also a message when you open the app. 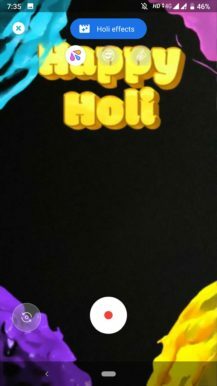 There are three effects to choose from: one with flowing colored liquid from every display border and a Happy Holi message (shown in the screenshot above), another with sunglasses and colorful powder on the face (as demoed by Justin Uberti below), and a third one with Holi food floating in the air. I don't see any of these in the Duo app on my device, so I'm afraid these may be geolimited to a few countries only. Justin Uberti has confirmed that these effects are available in India only, which is quite disappointing given how many Indians are living abroad, let alone everyone else who may want to try this out. Thanks, Henny!